For a lot of Mac users, GarageBand will be the first taste of music making with technology. So it’s important Apple gets it right. There’s not really any direct comparison on another platform like this, either – GarageBand is available as a free install for new Macs, and yet provides an easy window into the same engine and sounds that drive Logic Pro. Those two applications are developed in parallel – indeed, as a regular Logic user, I was impressed by how much is now familiar in its entry-level sibling. Reading the reviews in the App Store, though, it’s apparent how challenging it can be serving that audience. Move things around, and you make GarageBand’s years of existing users unhappy. Leave them as they are, and you might turn off potential new users. But two features are worth mentioning. A selection of artists will teach you piano and guitar – now, for free, in this free Mac app. 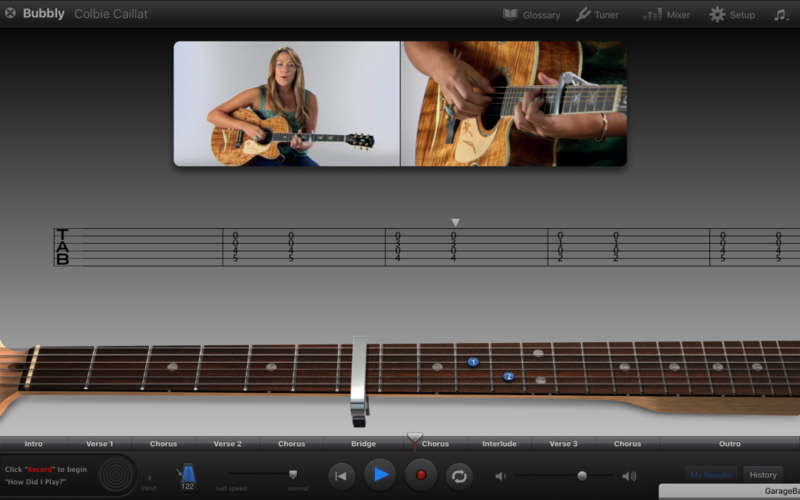 First, the range of lessons Apple offers to get you started with an instrument are now free. For someone with a new Mac, it’s a nice way to get a small taste of learning an instrument. But there’s some charm to the selection. I have no doubt it’s a casual way to get a taste for going out and getting lessons yourself. And I think Apple deserves some kudos for making this a default install. The other thing worth mentioning – this is a good example of how Apple is responding to user feedback for musicians with different accessibility needs. macOS has a technology called Voice Over, which reads out what’s on the screen to users who are vision impaired. That’s important, because it means the non-seeing user is interacting with the same layout and structure as a seeing user. Apple demonstrated this onstage at a recent developer conference with one of their own blind employees, and I got a chance recently to attend a talk by two consultants who give feedback on using these features. That feedback is important, because seeing developers may not know what works until they hear from users without sight. Also telling here – this detail about vision is actually one of the top App Store comments. That’s a tiny change, but imagine that is a wall between you and being able to actually know what track you’re editing. And again, because this is a free install on the Mac, it’s a big deal. Just removing that one barrier opens up music making on the computer to a whole range of Mac users. And that’s not to just congratulate Apple here – all software should work this way. GarageBand 10.3 is a free update, available now.